A few weeks ago, I was walking my dog Hudson down a narrow sidewalk next to my apartment building when a man came out a door and started shouting at me. "Get out of my backyard!" he said, like something out of an old Dennis the Menace cartoon. I was, naturally, very confused. "This is your yard?" I asked, looking around at the very-much-public and very-much-not-a-yard street I stood on. The man shouted again that it was his yard, and so Hudson and I hustled back down to the main street. A two-foot fire escape four stories up in the air can be a yard. A front stoop with a tiny portable grill can be a yard. A public park 20 blocks away can be a yard. All you need is a bit of imagination! Whatever your backyard looks like, Summer is most definitely the time to get out there and enjoy it. Bring together friends and family for a classic backyard bbq, serve up a big punch bowl of something chilled and soak in that summer goodness. 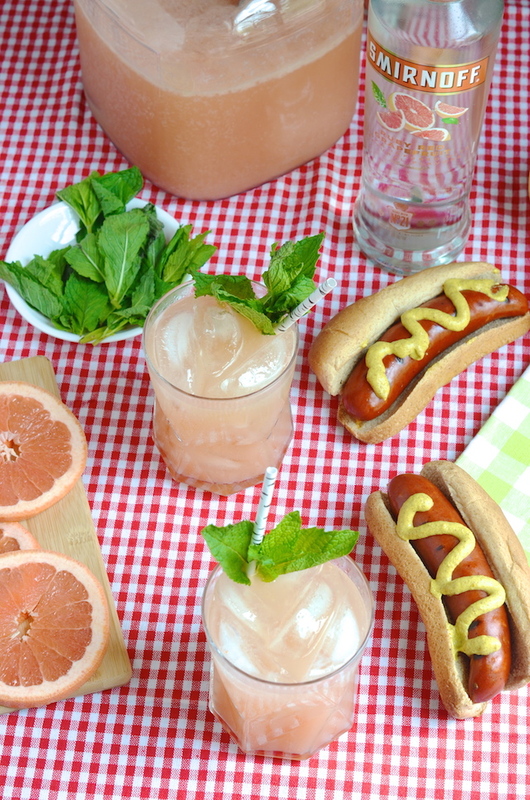 My latest vodka punch recipe in my ongoing collaboration with Smirnoff this summer is this sweet and tangy Minty Grapefruit Vodka Spritzer Punch. 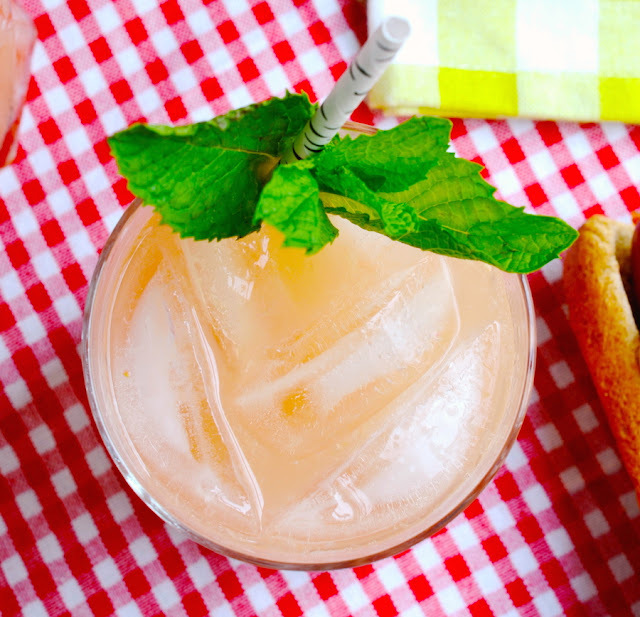 Made with fresh grapefruit juice, Smirnoff Ruby Red Grapefruit, and fresh mint simple syrup, it's a pretty and refreshing punch to sip on hot summer days. 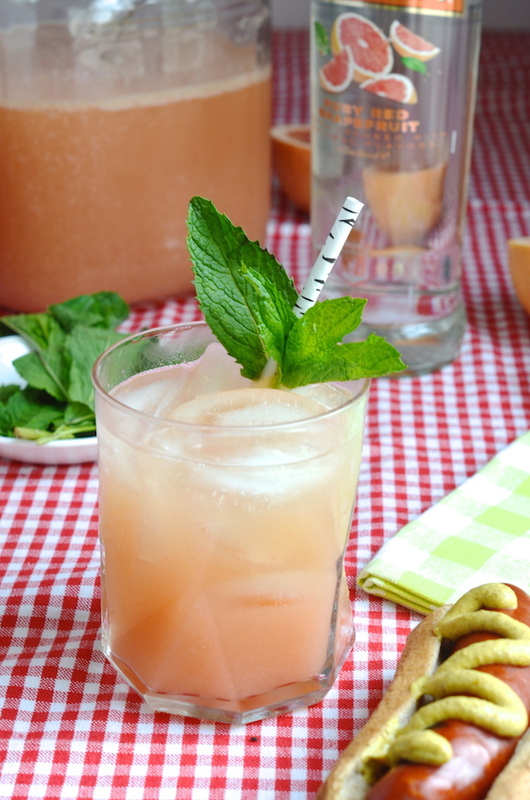 Grapefruit and mint are a gorgeous combination that I absolutely love together, and find that they're particularly lovely in this cocktail made with Smirnoff Ruby Red Grapefruit. The mint simple syrup takes just minutes to prepare, and can even be made several days in advance. Serve the punch in a big bowl, with plenty of ice and fresh mint for serving. 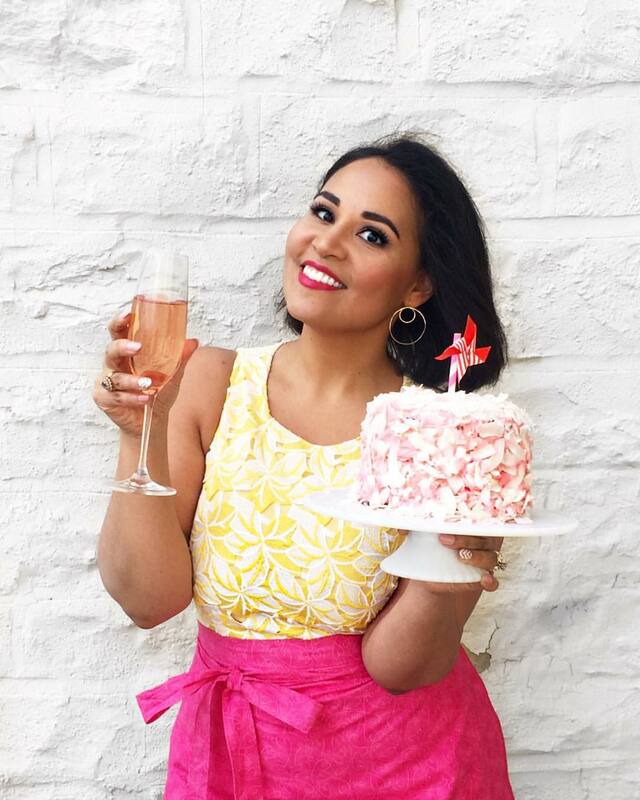 This is a sponsored post written by me on behalf of Smirnoff for IZEA. All opinions are 100% my own. Please remember to always drink responsibly! Make the mint syrup: Combine sugar, water, and mint leaves in a medium sauce pan and bring to a boil. Immediately lower heat to the lowest setting and let simmer 10 minutes, or until the liquid reduces by 1/4. Remove from heat, strain out leaves, and let cool completely. 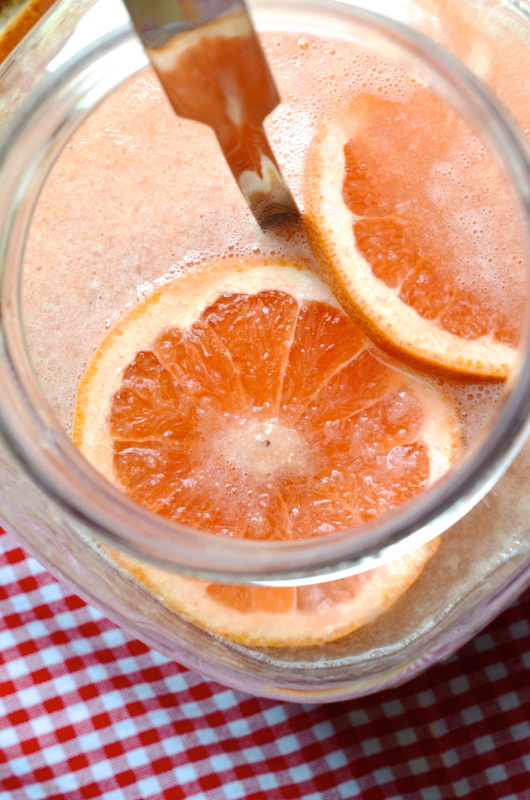 To make the punch, whisk together the Smirnoff Ruby Red Grapefruit, lemon juice, and fresh grapefruit juice. Cover and chill at least 2 hours or until serving. 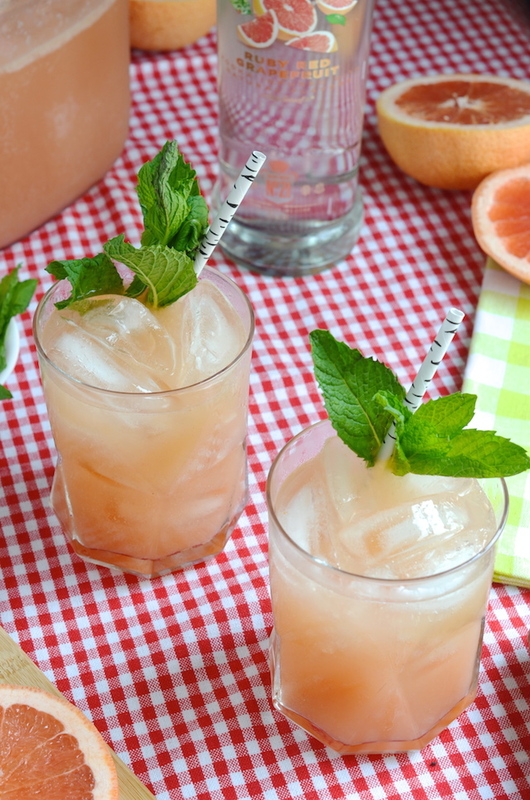 Just before serving, add the club soda and garnish with grapefruit slices. Serve with ice and fresh mint leaves on the side.